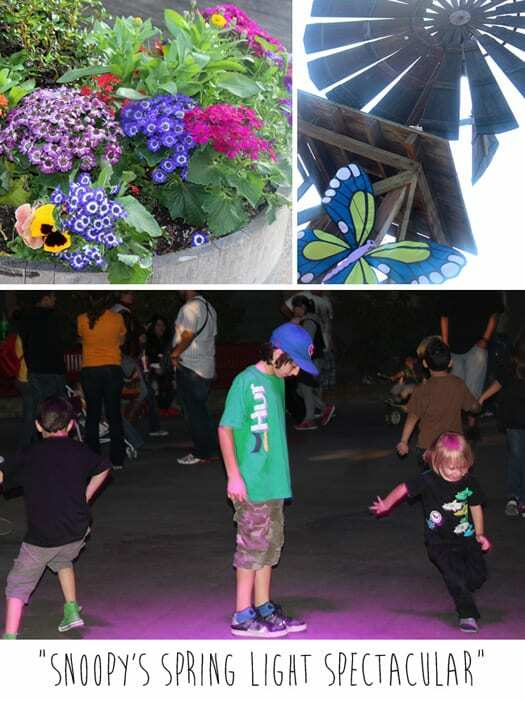 on Saturday i took the kiddies to Knott’s Berry Bloom Event, it felt so good to be back at Knott’s. we just love it there…the old time feel, the rides, the food and scenery. 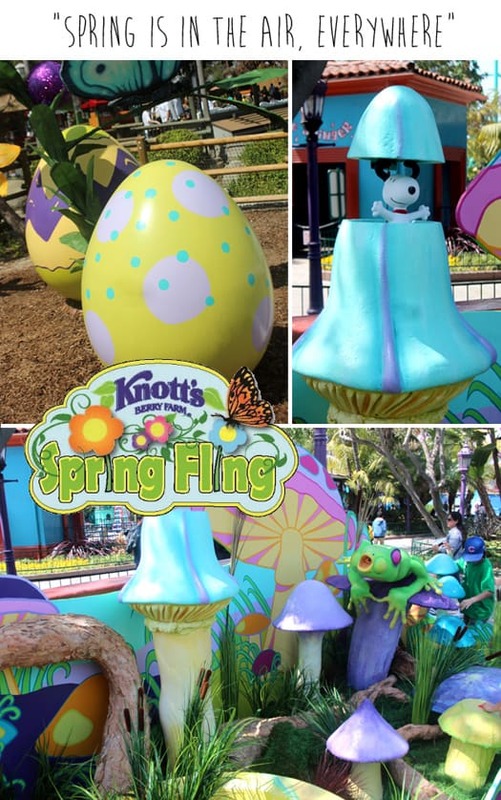 and we were excited to see Knott’s all dressed-up for spring! freshly planted spring flowers line the park. 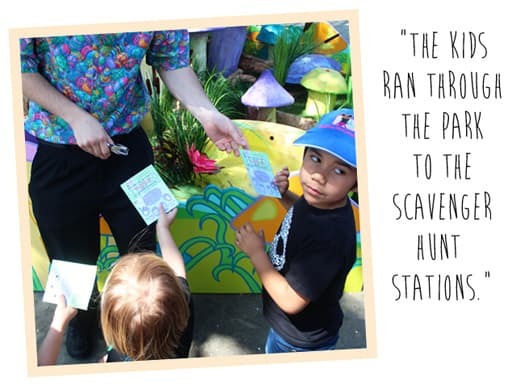 with our scavenger hunt cards in hand, we ran around the park collecting stamps in search of the Easter Beagle. once our cards were complete, we received a special egg. giant eggs and flowers led the way. 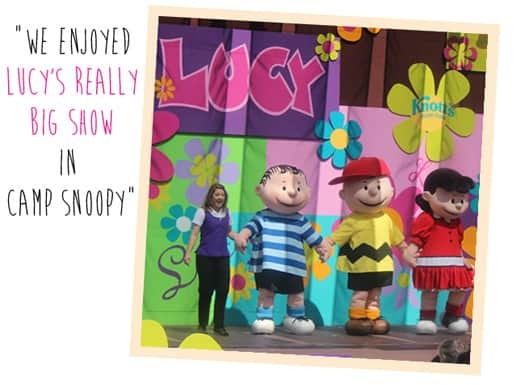 while in Camp Snoopy, the kids enjoyed the rides and we also saw “Lucy’s Really Big Show” a musical stage show for the kiddies. 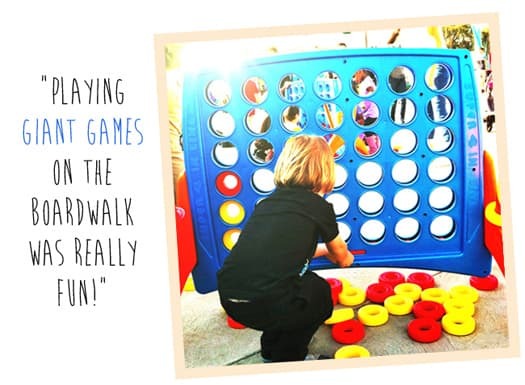 it was fun to play giant dominos, checkers and connect four on the Boardwalk. 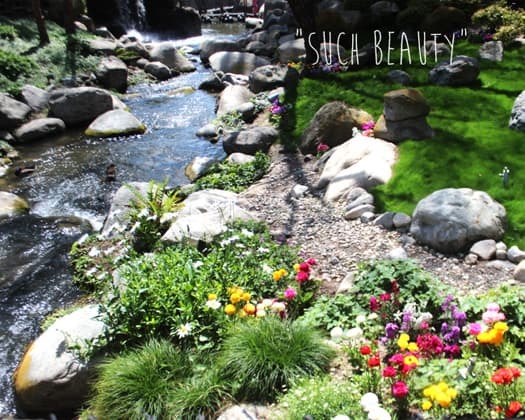 the perfect time for mom to sit and relax while the kiddies continue to have more fun. 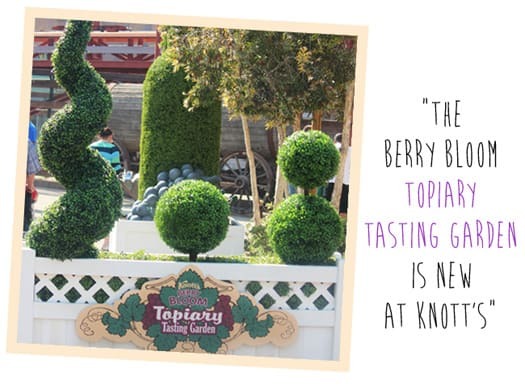 then some of the parents took a time out to enjoy Knott’s newest attraction the “Berry Bloom Topiary Tasting Garden.” for only $15, you get 6 tasting pairs of wine and farm fresh food offerings. and for me, since i don’t drink, fresh made lemonades and boysenberry punches hit the spot. i’m proud of him for trying a new ride every time we are at Knott’s. 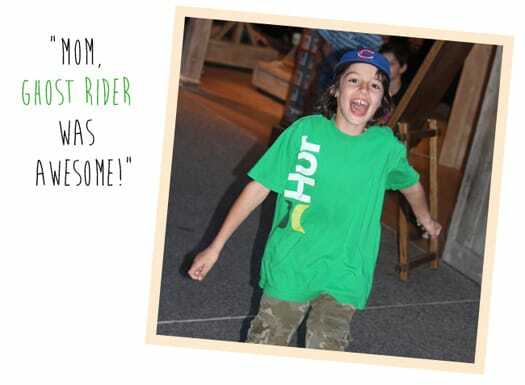 he is surely getting over his fear of rollercoasters. we ended the evening with a stroll back at Camp Snoopy. a musical spring light show was the main attraction. i’m surprised the kids had any energy left in them. we had so much fun throughout the day, i was sure i had worn them out. 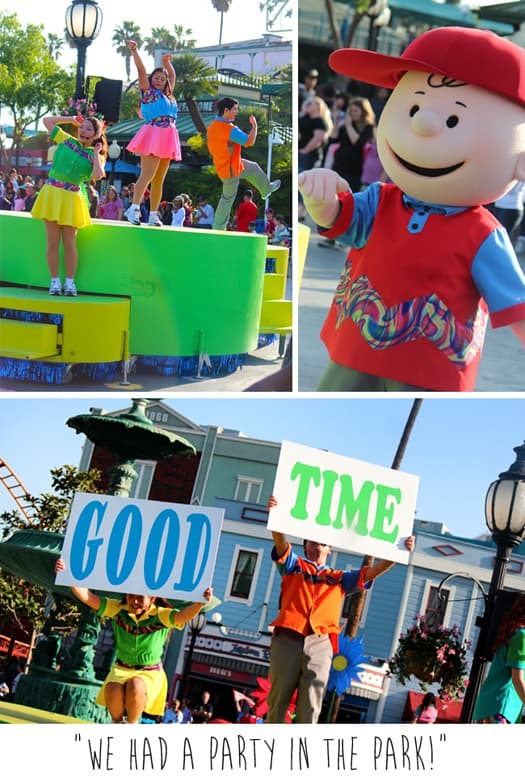 i guess not…Knott’s Berry Farm is too much fun. 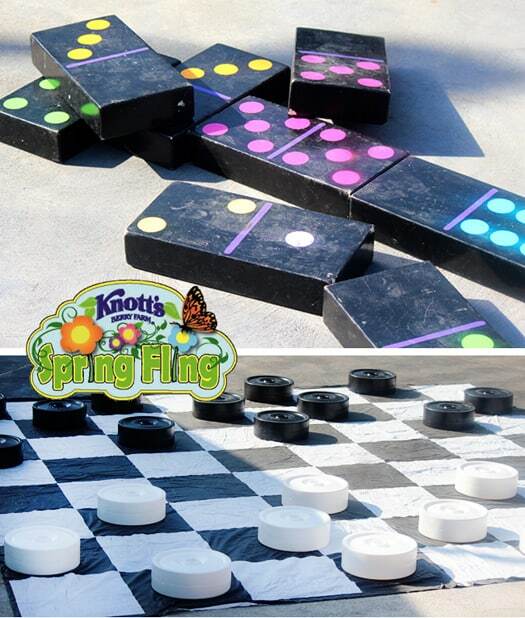 we just loved Knott’s Berry Bloom.